Traditionally, chronic ear infections are treated with antibiotics coupled with a watch-and-wait approach. However, prolonged antibiotic use could cause your body to build up a tolerance for these drugs, making it harder for them to work to eradicate the infection – if it is, in fact, bacterial in origin. Many are not. Plus, if the infections are bacterial, then they could become stronger, more frequent and more drug-resistant while the associated pain becomes increasingly more excruciating. And where does that leave you, or your child? Surgery to insert tubes which have a shelf life of six months to a year before falling out on their own? More antibiotics? Living with acute pain? 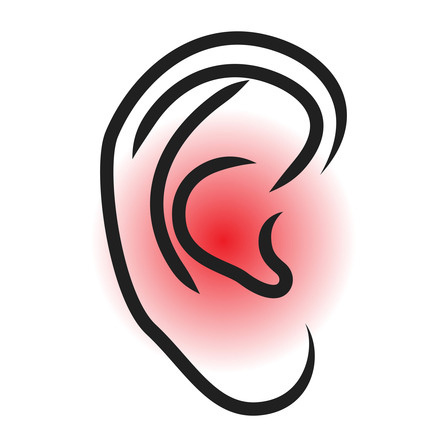 Don’t fret; a chiropractic approach to treating ear infections in adults and children can help with pain management. Fluid in the middle ear, or otitis media, is drained into our throats through a process called peristaltic motion. It’s controlled by the nervous system. Subluxations, or partial dislocations or slight misalignments, of the vertebrae in the upper cervical spine, can slow, stop or, in some cases, even reverse this drainage process. If that happens, then the ear’s eustachian tubes (inner ear canals) can become a breeding grounding for earaches and chronic middle ear infections. One is acute otitis media (AOM), which is usually bacterial in nature. The other is otitis media with effusion, which more common and caused by a build-up of fluid in the eustachian tubes due to improper drainage of the inner ear fluid. Symptoms of both types of infections can be alleviated via chiropractic care. It “involves manipulating the body so that the skeleton is in alignment,” according to the Mayo Clinic. More specifically, chiropractors will perform upper cervical manipulation to relieve the otitis media with a focus on the occiput (back of the skull) and atlas (first vertebrae of the neck). These regular adjustments – performed on adults and with a gentle touch on children – will restore normal peristaltic motion to the eustachian tubes, allowing the middle ear to drain and heal properly. They also restore normal drainage to the lymphatic vessels. Once that all happens, infections generally subside or stop altogether. If you or your child experiencing chronic ear pain and ear infections and wondering if chiropractic care is a good treatment course to alleviate the symptoms, then give Dr. Todd Goldman at Total Chiropractic Care and Wellness in Medford a call at (631) 447-2299 today. He follows evidence-based treatment procedures that start with diagnostic exams to determine the exact cause of your pain. The adjustments he does are based on his diagnostic findings and address the underlying musculoskeletal misalignments triggering a patient’s pain, instead of simply “masking” these symptoms with medication.